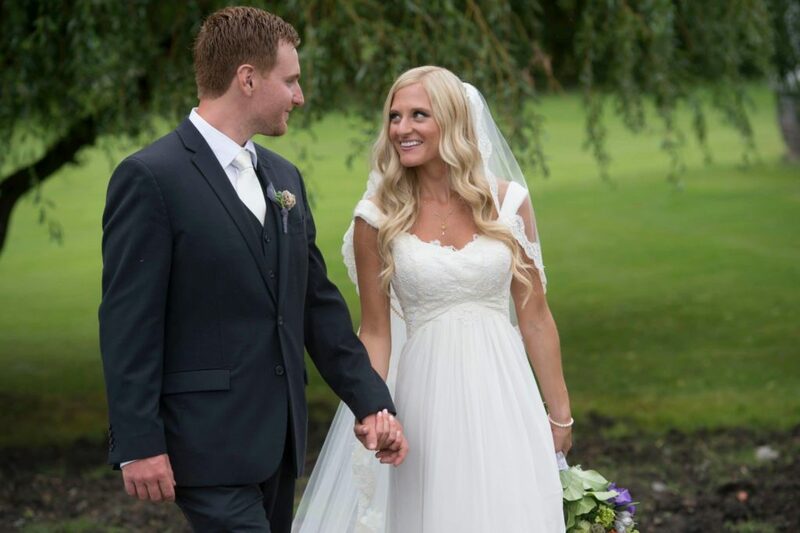 "Ali was so accommodating and helped to create the perfect cover up to make my simple wedding dress unique and gorgeous. 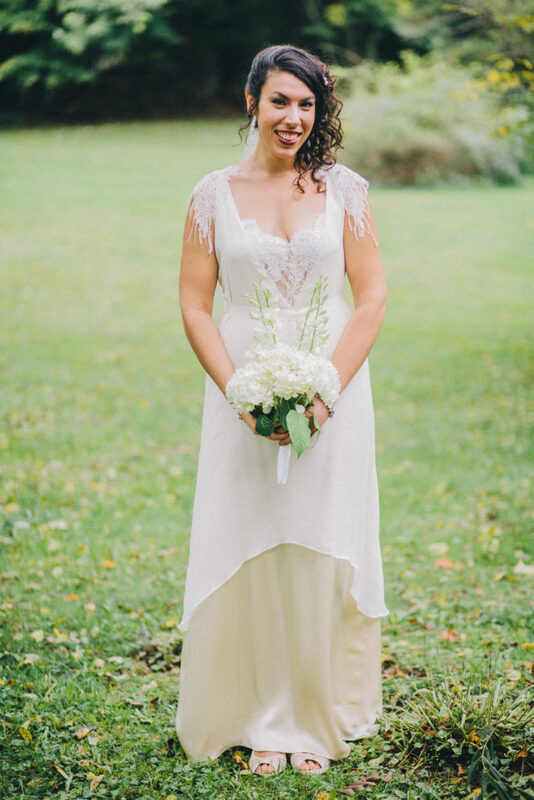 She was helpful, friendly and fun through the entire process and I got (and continue to get) endless compliments on the garment. Can't wait to come back and have more custom pieces made just for me! Thanks for making me feel truly beautiful on my special day!" "Love love love made by anatomy! 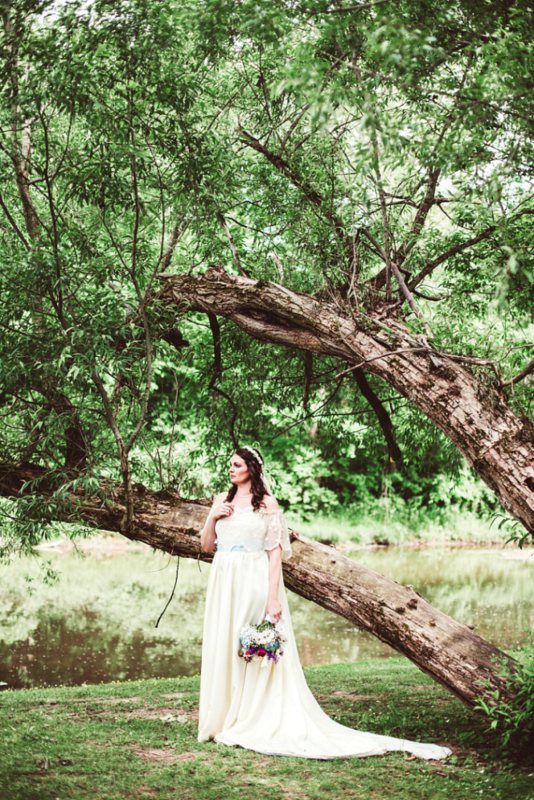 Working with Ali throughout my wedding planning process was so enjoyable and fun! 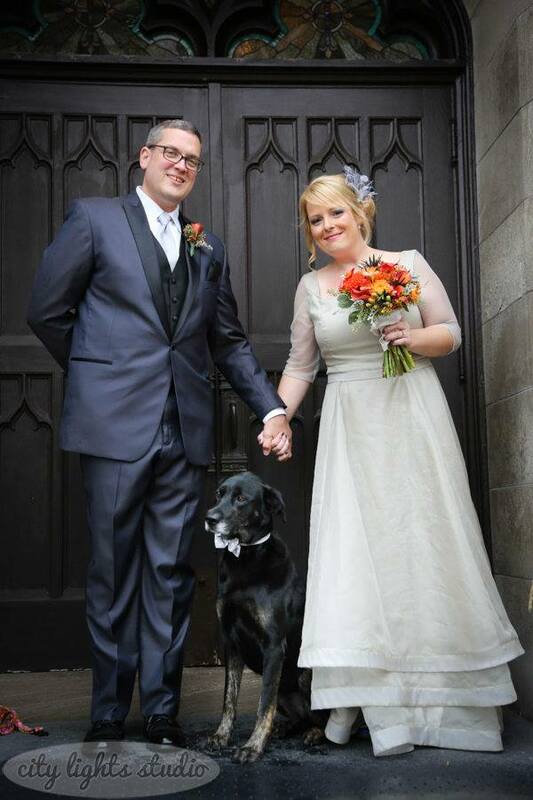 I felt amazing in my wedding dress and continue to receive compliments on my one of a kind wedding gown. My wedding dress search started to become difficult after I found a Christian Dior dress on Pinterest and the dress didn't actually exist, and nothing remotely like it was available anywhere. I thank my lucky stars that a friend referred me to Ali. I asked her to make me something similar and with her artistic genius she created something so much better! She was open to my ideas and able to refine and sculpt my vision into a gorgeous dress. 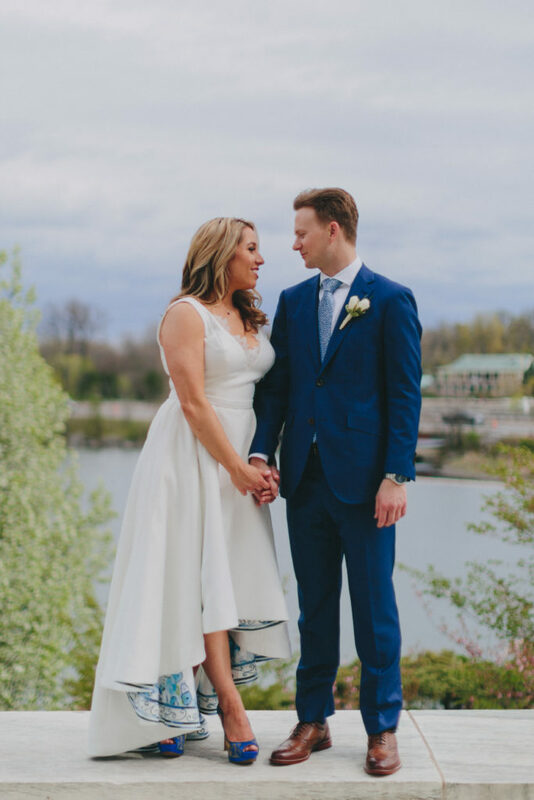 I was hesitant to have my dress custom made because I thought it would cost me something close to a million dollars, but Ali was surprisingly reasonable with the pricing and gave me options for different fabrics and designs to keep me within budget. I would go through her again in a heartbeat! In fact, I will have another dress made at some point, because it was just that great of an experience! ***Also... If you are stressing about the way your body looks before your wedding day (I was!!!) 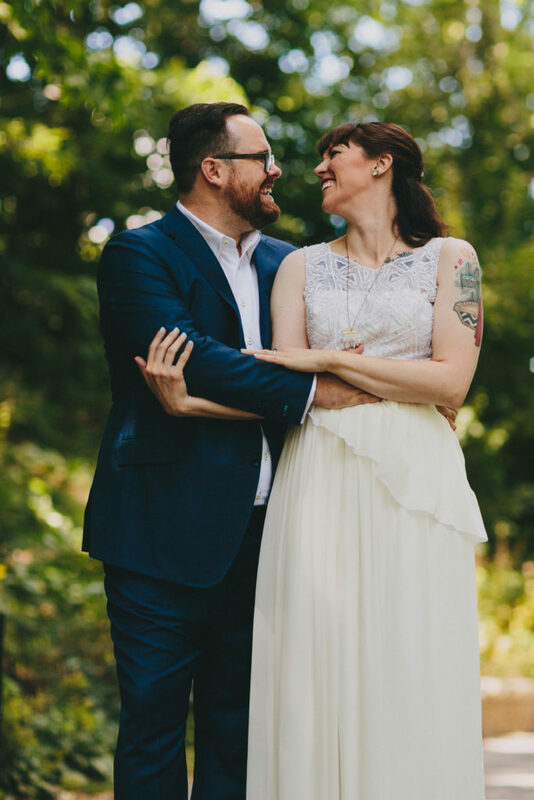 It didn't even matter that I didn't work out or lose weight before the wedding, she made that dress to flatter what we were working with, so I still looked pretty damn good! At least that's what my husband told me... 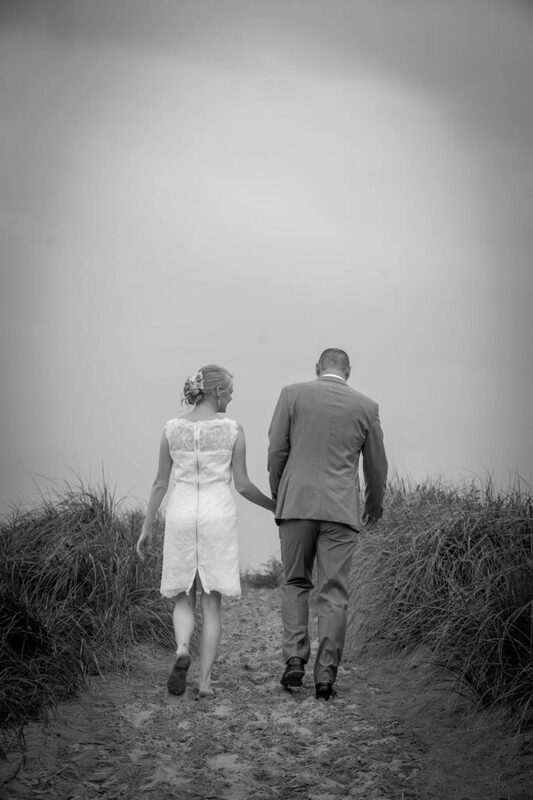 If you want to judge, nickel city studios did our pics. Good luck to you if you are reading this and getting married! Meet with Ali for a consult to at least get an estimate, I think you'll be as happy as me if you do! Thank you Ali for being a rockstar! I'm so glad you took a chance on yourself a few years ago and started a business that has helped so many women feel as good as they should on their special day! " "Ali is amazing! I came to Ali with an idea for a crop top wedding dress. She came up with several designs and lots of fabric options. It is such a special feeling to know that your wedding dress is completely unique and designed just for you. Ali is fun to work with and I couldn't be more thrilled with my experience." "Ali is wonderful! I no longer live in the Buffalo area but she was more than willing to work with me remotely on the skirt portion of my wedding dress. Once work was complete, she pressed the final product and shipped it to DC. It turned out beautifully and even included lace from my Grandmother's wedding dress. Ali isn't afraid to take on a challenging project and puts an incredible amount of love and creativity into her projects. Thank you!" "WOW WOW WOW - I was completely amazed by the meticulous work Made by Anatomy did in making me the veil of my dreams. I went to her with a picture off of Pinterest that of course had no origin, and she made me feel that there was no doubt in her mind that she could make that. She was so easy to work with and fun! We picked out lace together and she worked diligently to make sure I had it for my dress fittings. 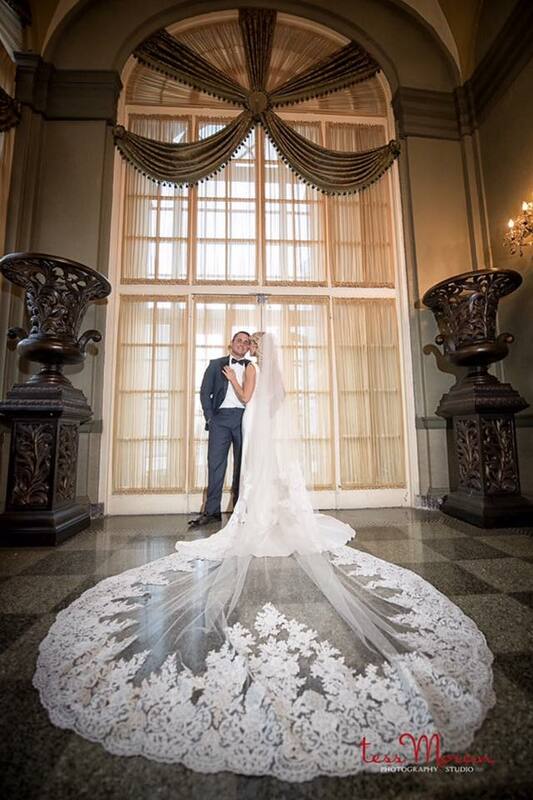 Everyone thought the veil was stunning and it truly made the whole look come together. I would work with Ali again in a heart beat!! Super cute shop inside Lafayette too!" "I was so fortunate to find Ali at Made by Anatomy. She took my vision, ran with it and surpassed all expectations. After our first appointment I knew I wouldn't step foot in another dress shop. 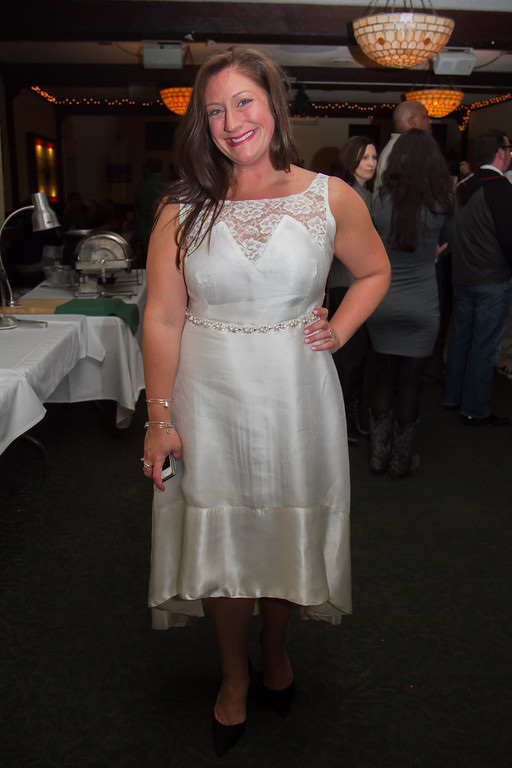 I feel very lucky to have been able to wear my grandmother's reconstructed wedding gown (an original from 1952). I think Grandma enjoyed it too! I only wish I had a reason to wear it again. Thank you, Ali and team! If you're considering having a gown reconstructed (or made from scratch), at the very least, schedule a consult with Anatomy!" 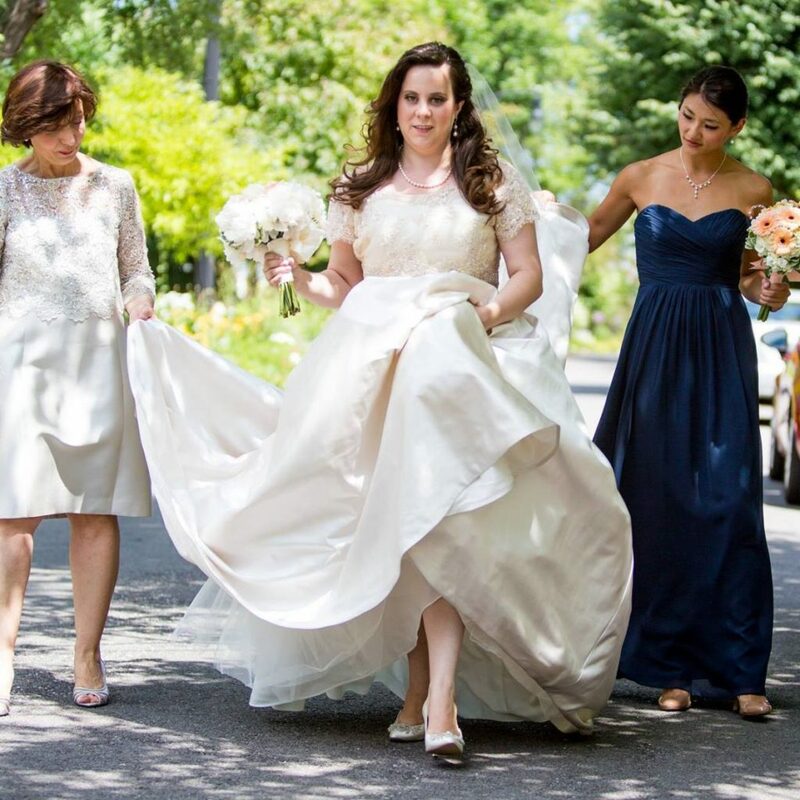 "It was always a dream of mine to be able to wear my mother's wedding dress, but I knew it would need to be sized up to fit me. I was definitely not going to trust a chain bridal store with a family heirloom, but I never thought I would find someone as talented and passionate as Ali at Made by Anatomy. A few glances at her Facebook photos were all it took to convince me to set up a consultation. Ali is lovely in person and great to work with; she listened to all my requests and concerns and I trusted her 100%. I was blown away with the final results. Buffalo is extremely lucky to have someone this talented!!" "I really don't know how to put into words how amazingly talented Ali is. I went into her shop after getting engaged basically having NO clue whatsoever I wanted, which I'm sure it is quite difficult to deal with! A client who has zero idea what they want! 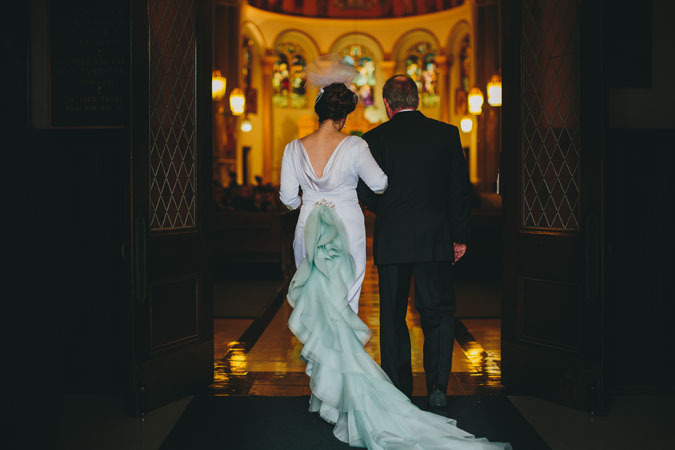 I wound up putting faith in her to just help steer me in the right direction with her expertise & it was clearly the best decision ever as she made me a beautiful gown that wound up in the end being exactly what I wanted with me not even knowing it, which is a talent in and of itself. There's really no reason to go to any other dress place if you're getting married, hands down." "I honestly can't say enough about my love for Made by Anatomy and Ali. I came to Ali with a 1970s (stained) wedding gown of my mom’s in hopes that she would be able to reconstruct it into a rehearsal dinner dress. We found my mom's wedding gown after we had purchased mine so I wanted to wear it on a night where both my mom and dad were there to see it. Both of my parents were honored I would want a piece like that as part of our wedding celebration." "Ali! Your creativity and flexibility were fantastic, and of course the final garment is special and beautiful." "Ali was very friendly, her on-display pieces were beautiful, and she could work with my timing. The personal touch - guidance about flattering styles for my shape, choice of fabrics, and even working with my schedule for fittings." 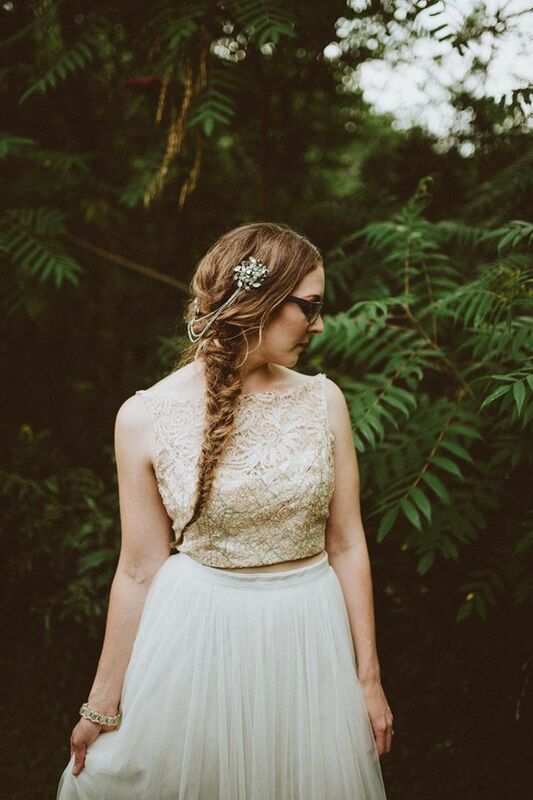 "I appreciated Ali's design aesthetic from the beginning and knew she would be able to create a beautiful, unique dress for me. What wasn't my favorite part?! Ali stuck to schedule and budget which are two major elements when planning a wedding. She does amazing work and even recommended shoes, accessories, etc. to complete the look." 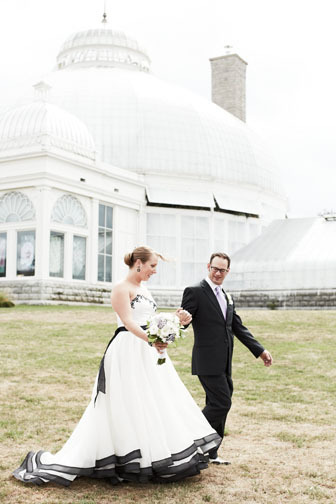 "The flexibility to make my wedding vision into a reality was what sealed the deal for me. Also, Ali really listened to what I was asking for and did not just push her vision. She gave the perfect mix of professional and creative input throughout the process to make sure the end products were beyond fabulous! Its hard to narrow it down to one thing. I loved that Ali was very patient with me and let ideas evolve throughout the process, from looking at pictures on Pinterest, to making sketches and refining the sketches, to assisting with color/fabric selection, to being extremely flexible on weekends to accommodate meetings/fittings. I liked that she was always honest and provided good feedback when needed. She also takes great pride in her work, which is essential when working on custom items. I would hate for someone to just "do as they are asked" and not have any sense of pride in the piece they are making. I was also very grateful for her recommendations on local businesses to get custom hairpieces and flowers. This really was a dream come true and I am so happy Buffalo can showcase such talent. She really made the vision become a reality and that is not an easy thing to do. I also love that she is such a great role model for entrepreneurs and is very active in bringing out the best in Buffalo." "Being a part of the design process and having one on one time with the designer/creator/maker. It was a meaningful experience. Anatomy understood and was into creating my vision for my dress and I wanted to spend my dress money in Buffalo. And I would rather die then step foot in a typical bridal salon." "Creative collaboration. Lots of focus, attention, patience, and flexibility. I knew from my first visit, looking at the sample dresses and talking with Ali, that I was going to be able to get exactly what I wanted." 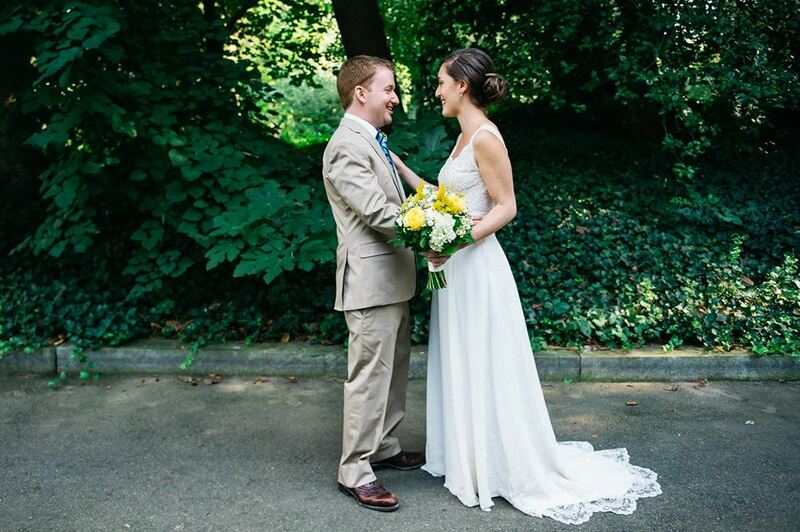 "Ali was the nicest, most authentic person I met in the bridal industry. I trusted her immediately."